EasyDose does not require a Microsoft SQL server (MSSql) to run but it does require one to do anything useful! The automated installation by EasyDose installs the free MS SQL Server Express Edition 2008 (compatible Windows XP). 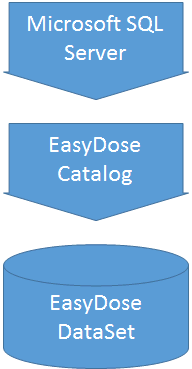 EasyDose is compatible with SQL 2012. Ask our support staff for details.